Concept Bathrooms & Construction provides bathroom renovations for elderly and disabled. We use senior friendly bath ware and other accessories to help with bathing, showering and toileting difficulties. Collaborating with several suppliers, we offer professional services and high-quality bathroom products including Baths, Showers, Tiles, Toilet seats, Tapware and Vanities, at the best prices in Melbourne. Safety Grab Bars and Rails for Bath, Shower and Toilet, strong enough to support your weight. Easily controlled and managed Handheld shower-head to reduce discomfort and the most common danger, slipping in the shower. Walk-In Bathtub to allows elderly to bath safely at home. For the elderly and disabled, who have lost mobility and strength, using the bathroom effectively can be difficult. For elderly, bathrooms with added safety features including grab rails, senior friendly toilet, shower and bathtub are the need of the hour. 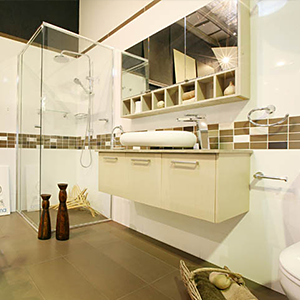 We understand this and listen patiently and carefully with your demands to find the best solution for your bathroom. Our senior friendly bathroom makeovers will upgrade your bathroom, aesthetically and functionally. For compact spaces, we use small hung basins and overhead cupboards for storage. Our senior friendly bathroom makeover includes senior friendly layout design and wheelchair accessible bathroom floor plans to make it safe and convenient for those who have issues with mobility. We guarantee on time completion and the best outcome through remodelling of a senior friendly bathroom, and always make sure we meet your expectations. For further details about bathroom renovation for seniors/elderly, contact Concept Bathrooms & Construction. We offer a full line of services to ensure that your bathroom plans come to fruition in an ideal, quality and durable way.